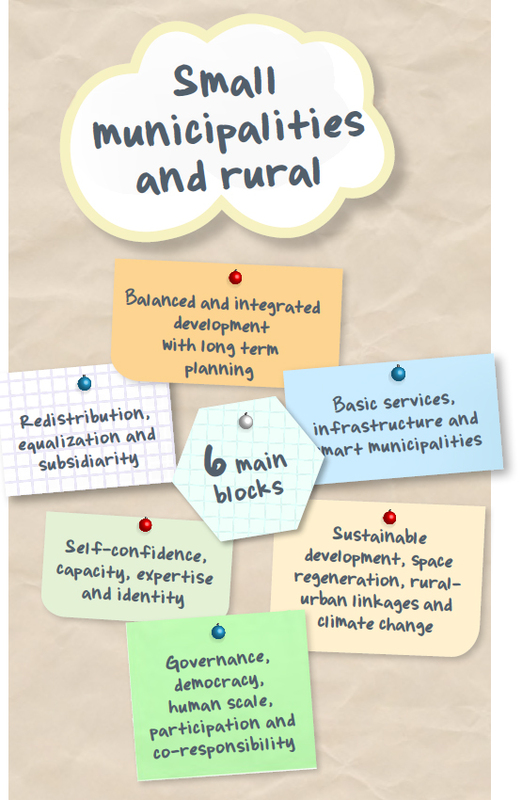 Regions, rural areas and small municipalities have long been at the center of UCLG's work. Regions have their own global organization in UCLG: the Forum of Regions, which acts as the voice of intermediate levels of governments in parliaments, before national governments and international institutions. In June of 2015 we held a consultation on the role of territories (regions, rural areas and small municipalities) in the Global Agenda of Local and Regional Governments for the 21st Century, using the UCLG Strategic Toolkit. The results of these consultations will guide our ongoing work on the Global Agenda and Gold IV. We have published reports on the consultations with the aim of opening up the debates to an audience beyond those who directly participated. We invite local governments and our partners to reflect on the ideas and proposals in these reports, and to build on them with their own inputs using the Strategic Toolkit. To send us your ideas, to share your practices, or to join our consultation group on regions, rural areas and small municipalities, write to consultations@uclg.org.